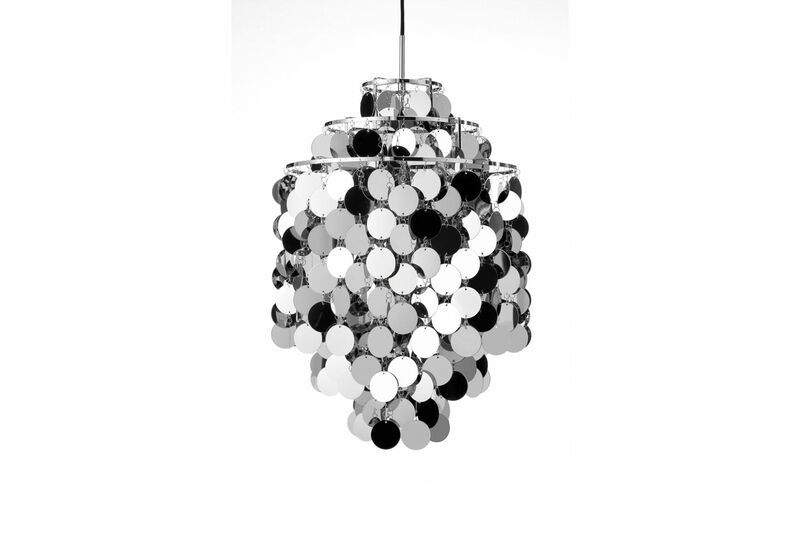 Like the Mother of Pearl Fun lights, the metal Fun series are composed of metal round discs arranged in chains of varying length. Depending on the number and length of the chains of discs, the lamps take different shapes. The bulb is in each case located in the centre. The heat emitted by the bulb creates thermal radiation that creates slight movement among the discs, which act as reflectors. In this sense, the Fun light was created to be seen and heard. It deserves much more than a corner and a remote spot in your room. Use it as a prominent and inspiring part of your interior design.